Hi as we enter a new year what about a new look for your home? 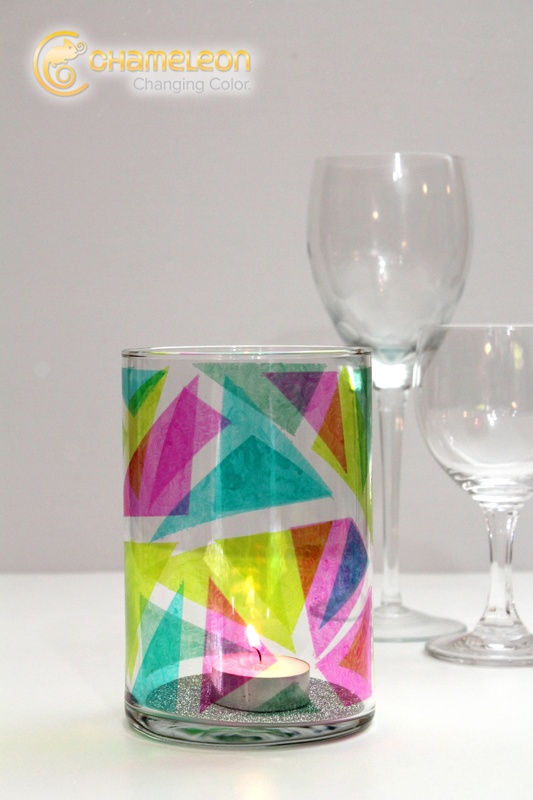 Today we have a home decor makeover post, where we show you how you can create a colourful mosaic candle holder with Chameleon Color Tone Pens that will add rainbows of color to any room! We tasked Tracy with creating something for the home that would give a makeover that extra special touch and we asked her what inspired her to create this colourful candle holder. She said "I wanted to create something using glass to really show off the shine that can be created using Chameleon Pens and glassware. " If you would like to recreate Tracy's DIY Glass Mosaic Candle Holder you can download her free step by step instructions here.